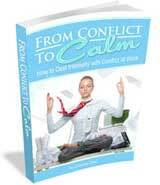 There are many excellent natural stress relief options. Herbal stress relief, vitamins for stress, yoga stress relief, aromatherapy stress products, hypnosis for stress and anxiety, meditation, books, videos... It's enough to give you a stress headache just thinking about all the stress relief available. Being subjected to bullying or mobbing can profoundly affect our mental and physical well being. It can feel impossible to escape the fear and obsessive thoughts about the bullying we are going through. It is difficult to find a moments peace as we bring the bully home with us from school or work. One of the most important stress relief tips is to make the time and find ways that you can relax. It can be as simple as taking a bubble bath. Make it special, light some candles, close your eyes and let the warmth embrace you. Feel your muscles relaxing, the tension leaving them one by one. Breathing in slow, even, calm breaths you relax. Important Note: This is time for you to relieve stress - no thinking about the bully allowed! Not into bubble baths? Here's another simple stress relief tip. Play with your pet. Take your dog for a walk, go to the park and play catch. Give your cat a bath. No, just kidding about that one! We can forget that our furry little friends are some of the best stress relievers available - and they're all natural too! Don't have a pet? Go for a walk anyway. If you are under stress you need to get excercise. It doesn't have to be fancy. A walk around the block once or twice will do. Go ice skating, swimming, dancing, anything to get some excercise. When under extreme stress from bullying the stress response (fight or flight mechanism) can become activated for unnaturally long periods of time, in some cases semi-permanently. This results in a cascade of physical and emotional consequences. Relieving stress by exercise is one of the best ways to help your body deal with stress. A great example of excercise to help you deal with stress and at the same time improve self-esteem are the martial arts. We've all seen people practicing tai chi in the park. It's a great way to improve your physical health while also dealing with stress. Whether you encounter bullying in school or in the workplace, or any other form of abuse, chi kung (also called qigong) and tai chi chuan can provide a measure of emotional and psychological sense of security and self-healing, as well as in the form of physical self-defense. Qigong teaches compassion and moral conduct. The self-defense aspects of qigong, such as tai chi chuan, builds discipline, confidence and self-esteem. Exercise may also be good to help balance out another consequence of stress. Which brings me to another one of the stress relief tips. Poor nutrition and a strong craving for carbs can accompany high levels of stress. Your body under negative stress from bullying will be on high alert and will want to be sure to have quick energy available since the fight or flight response is activated again (or still). That means carbohydrates. Combined with depression that can cause us to eat too little or too much (of the wrong things) and our nutrition can suffer as a result. Your body and brain can't function properly without good nutrition and a vicious cycle begins. We become fatigued, irritable and more depressed. Break the cycle and make sure to enjoy healthy, balanced meals avoiding the carb overload. What makes you laugh? Keep laughter in your life. Rent some comedies and make an evening of it. Make it a double or triple feature. Get comfortable, sit back and have a good laugh. Laughter has a positive physiological effect on your body and brain. It's a great stress reliever and keeping your sense of humor will help you deal with stress caused by the bully's antics. After your warm bath, walk and an evening of laughing you are going to need a good nights rest. That brings us to the next one of the natural stress relief tips. Be sure to get enough sleep to recharge your batteries. Stress can interrupt your sleep patterns. Stress, anxiety, depression and worry don't make for a restful sleep. Racing thoughts can keep you from falling asleep. You awake the next morning feeling exhausted. This can also lead to a vicious cycle. Going to work or school stressed, anxious, and exhausted leads to more problems as we lack the focus and energy to do our work properly. This can lead to more problems and more bullying with threats of termination from managers which only creates more anxiety, stress and depression. Relaxation, exercise and good nutrition will all work together to help you sleep better. Make sure to avoid stimulants, such as caffiene, near your bedtime. Speaking of your bedtime, try to get to bed at a regular time early enough to ensure you get enough hours of rest. Find ways that help you settle in for the night. If it's warm milk and soft music - do that. Whatever works best for you. You have to avoid the cycle of staying up half the night worrying about what the bully will do the next day. Going in to work or school with 1 or 2 hours of sleep will only help to make you more vulnerable and will play into the bully's hands. Establish as much regularity around your sleep hours as you can so your internal body clock, the circadian rhythms don't get out of whack. Disruption to circadian rhythms can have serious health consequences including heart disease, hypertension and cancer. The WHO International Agency for Research on Cancer released a report in 2007 stating shiftwork that involves circadian disruption is “probably carcinogenic to humans". Here is another natural stress relief tip and it's free and you can do it anywhere. Breathing. You can calm your mind and your body by controlling your breathing. You can lower blood pressure and slow your heart rate by taking slow even breaths. This can be confirmed with biofeedback equipment and is one of the easiest stress relief techniques. Try taking a long, deep breath inhaling through your nose. Hold the breath for a count for about 6 seconds. Then slowly exhale through your mouth also taking about 6 seconds. Continue this stress relief breathing exercise for a few minutes. Stop if you feel you are hyperventilating or are getting light-headed. Note how you feel before and after this exercise. You can do this anywhere anytime you are beginning to feel stressed. This stress relief tip involves keeping negativity out of your environment. You may not be able to control the bully and keep him or her away from you as you may have to deal with them to keep your job (for now). However, you can consciously avoid other people in your life who bring you nothing but negativity. If you allow yourself to be bombarded with hostility you will have a difficult time overcoming the stress you are feeling. Stop associating with people who bring you down and are negative towards you or others. You don't need, and can't afford, to have that kind of influence in your life. Another stress relief tip that is similar is to avoid television, movies, music, newspaper articles, etc. that are negative. There is so much bad news and aggression in the media and entertainment. Give your mind a break and stop feeding it poison. If everything and everyone in your environment continually sends you self-defeating, gloom and doom messages it's going to become a self-fulfilling prophecy. This just scratches the surface of some of the stress relief techniques available to help you deal with stress and protect your health and wellness. While the information here is provided to help you understand stress symptoms and natural stress relief techniques it is not to be used to self-diagnose or to determine medical treatment or stress medication. If you are experiencing symptoms of stress discuss this with qualified medical practitioners.